The Office of Civil Rights has opened an investigation into Stanford's handling of sexual assault cases after Leah Francis filed a complaint (CALEB SMITH/The Stanford Daily). The Office of Civil Rights has opened an investigation into Stanford’s handling of sexual assault cases after Leah Francis filed a complaint (CALEB SMITH/The Stanford Daily). The U.S. Department of Education Office for Civil Rights (OCR) has added Stanford to its list of schools under review for the handling of sexual assault cases, the office announced on Wednesday. 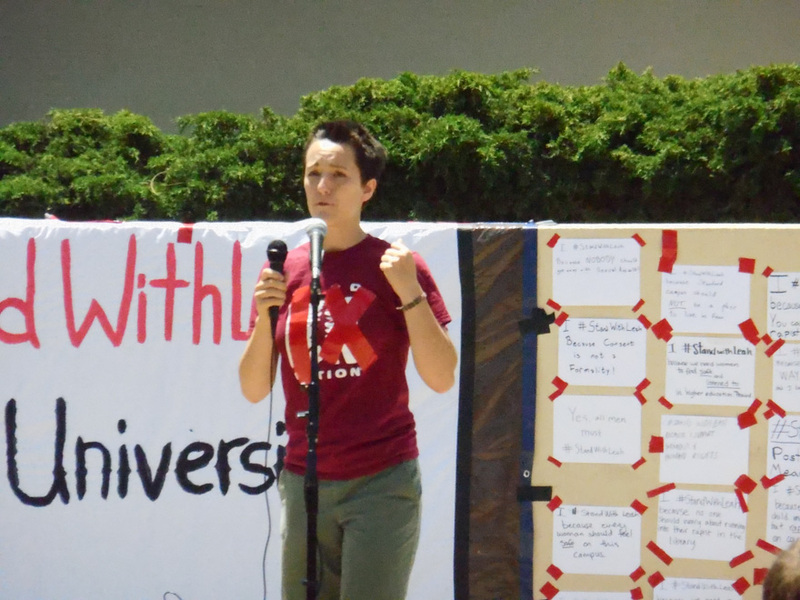 The federal Title IX investigation stems from a complaint filed by Leah Francis ‘14, who sparked student protests last June in response to Stanford’s decision on a sexual assault case she brought against another student in January 2014. According to Francis, the complaint to the OCR was filed on Dec. 5. The OCR officially opened the investigation on Feb. 26. 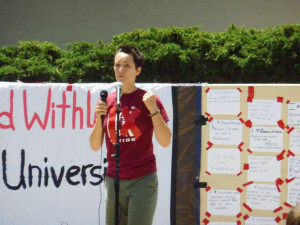 “I came to the decision to file a complaint, because although most of Stanford’s policies might be in compliance, their implementation is not in compliance with federal law,” Francis said. Francis hopes that there will be motivations for Stanford to change given the government’s investigation. Stanford spokeswoman Lisa Lapin told The Daily in an email that the University cannot comment on the complaint that prompted the OCR review, due to privacy restrictions. Last spring, Stanford found Francis’ assailant responsible for sexual assault, and later ruled on appeal to withhold his degree for two years but not to suspend or expel him. He is eligible to return to Stanford for graduate school in fall 2016. In August, an Alaska district attorney decided not to press charges against the assailant due to insufficient evidence. Currently, the official OCR list stands at 101 colleges and universities. Other than Stanford, three other universities — Washington and Lee University in Virginia, the University of Wisconsin at Madison and Point Park University in Pennsylvania — were recently added to the list. Contact Catherine Zaw at czaw13 ‘at’ stanford.edu. Catherine Zaw was formerly the Managing Editor of News for Vol. 245 and Vol. 246. To contact her, please email czaw13@gmail.com.